Hi everyone! Autumn with you today to share a simple substrate concept with you. I hope you will be inspired by this tutorial to participate in our current challenge, Fabric and Fibres. To start cut several chipboard tags to form the inner pages. I used the size of 7 x 3 1/2". Next cut two cover tags 1/4" larger than the page tags. Adhered fleece (cotton batting works well too) with Beacon 3-1 adhesive to one side of each cover tag. Trim the excess flush with the tag's perimeter. To form nicely mitered corners, start by adhering the cut off sections of your tag. Next do the opposite side, the bottom. Working in opposites helps with keep the fabric taut. Trim away excess fabric and fold in any edges before adhering. Snip away any loose fabric as you go. I try to keep the glue within a half inch around the tag. Once both tags are covered nicely, cut a sheet of designer paper slightly smaller than your covers and adhere completely with the same glue. Burnish the paper well so you cover all of the seams. Punch holes at the top and attach a ring to bind everything together. 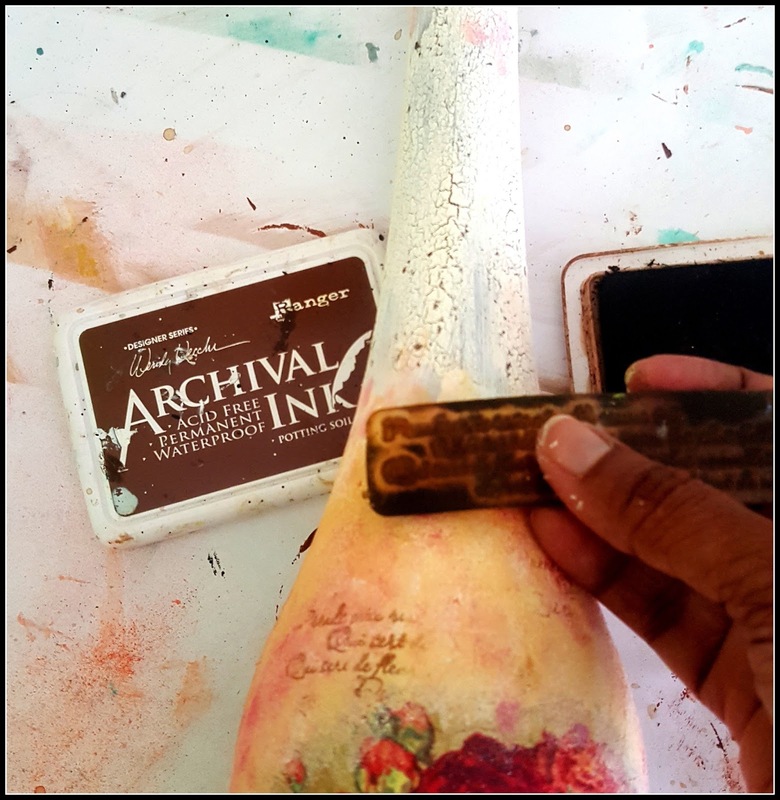 The pages and cover are ready to alter with your stamps and stencils in whatever theme you choose. You can easily remove the tags to work with and add them back to your book. The plush cover feels great in your hands and is nice and thick with the batting. I hope you will follow my blog to see this project evolve from substrate to art. Thanks so much for joining me today! Today we are welcoming Rupa as our Guest Designer, who was chosen by the DT as the winner of the Chirpy, Chirpy, Cheep, Cheep challenge. My entry into crafting was 5years back. I discovered my style was Vintage with lots of textures and most importantly, altered art. My USP is up cycling and have hoarded a lot of trash at home and they all get their time to get pampered and have a new lease of life. I see a canvas in any neglected item or house hold trash and love giving them a makeover. These not only serve as home decor items but also have a utilitarian value! Now that’s living your second life to the fullest! A deserving re birth, what say??? 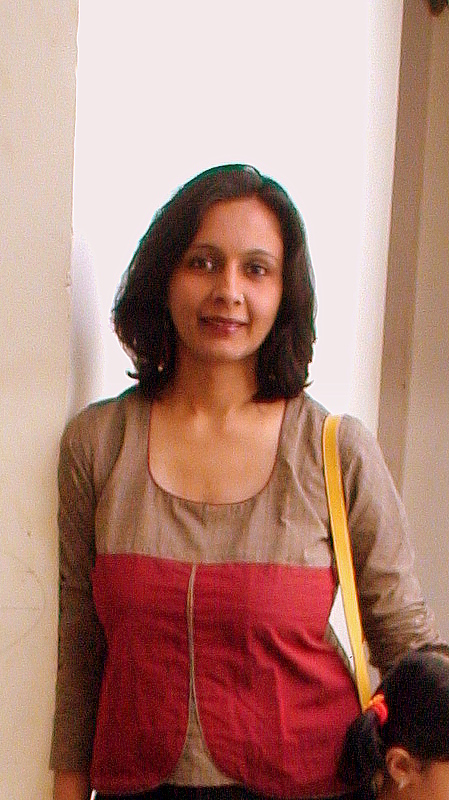 If you wish to see my works, do visit my blog at : http://rupastofa.blogspot.in/ and my FB page link is : https://www.facebook.com/Togetherforarts/?ref=bookmarks. 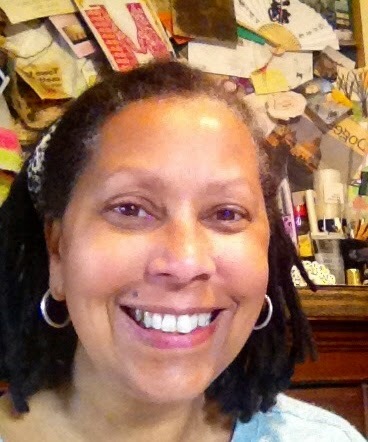 Until my next creative journey, happy crafting and recycling. 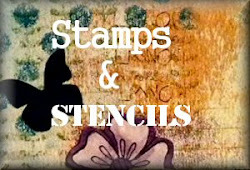 I am so happy to be Guest Designing at Stamps and Stencils today and their challenge for this month is FABRIC/FIBRES! How interesting! I have upcycled a liquor bottle for this project and have used lace and coconut coir for the theme. 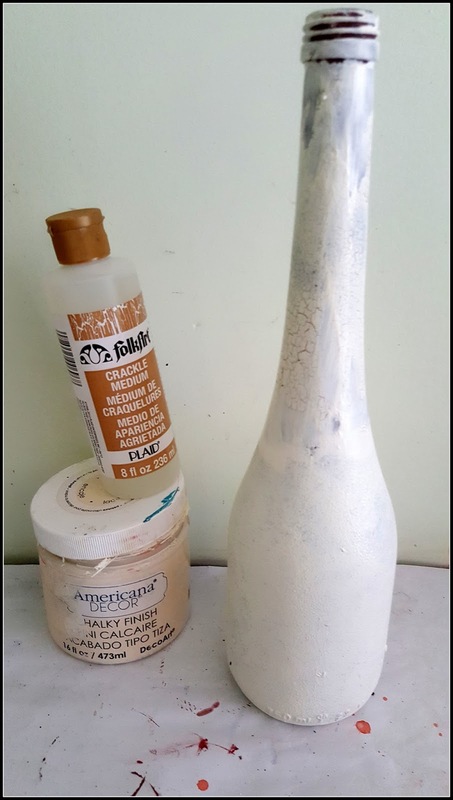 First apply a base coat to the bottle. I have applied Home décor chalk paint in brown. Let dry and give a second coat. Apply PLAID crackle medium on places of your choice. I have done on the bottle neck. Let dry completely. Once the crackle medium is dry, apply the top coat. 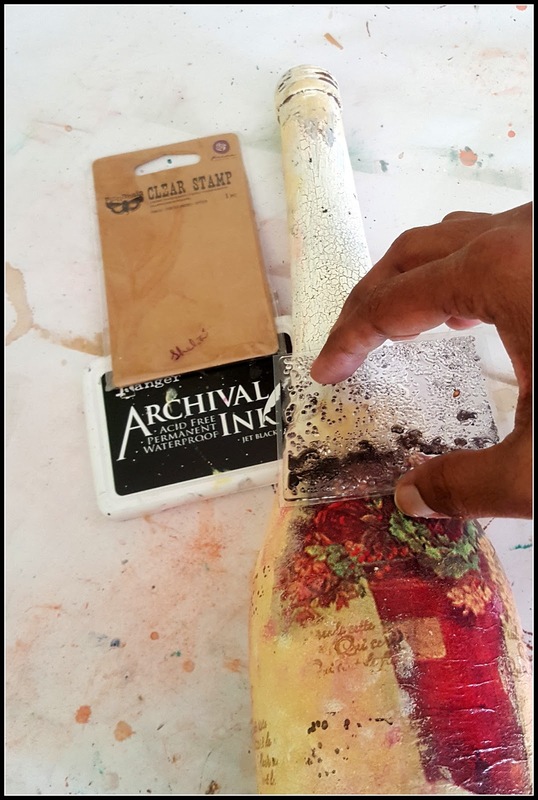 I have used chalk paint here which is a vintage white. 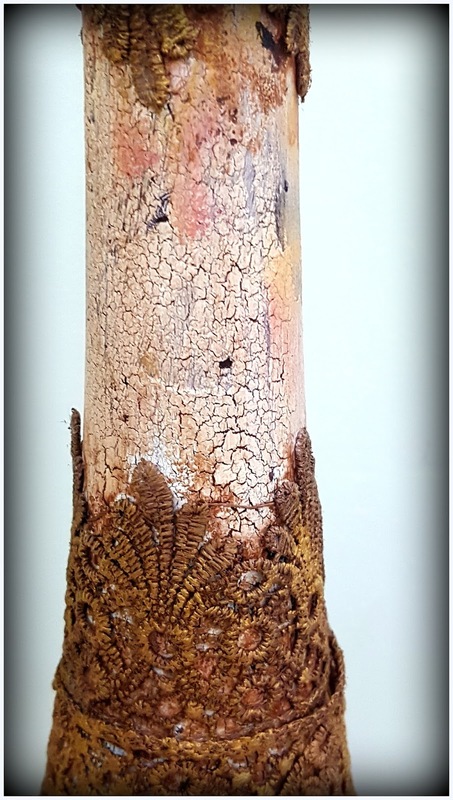 Once the top coat is applied, the cracks begin to appear. Let this dry. 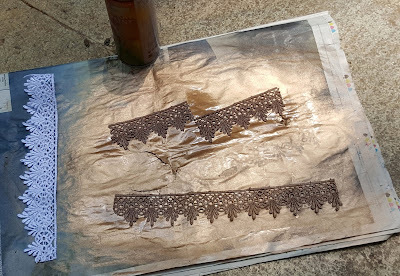 As this is drying, I have spray painted some lace in gold. I then choose a tissue for decoupage and cut the pattern from it. Next the tissue is adhered to the bottle with modpodge. 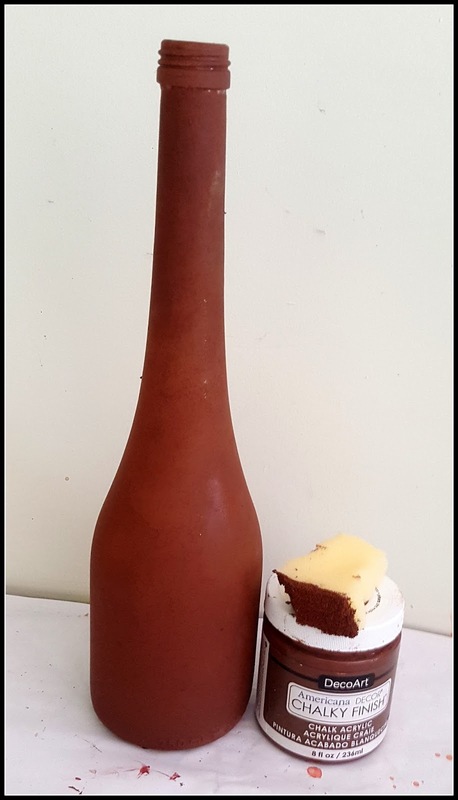 I have chosen to have the pattern on the base of the bottle. Then with complimenting acrylic colors, I create a background to blend the tissue. I further create textures on the bottle with some stamps. Here I have used some script stamp and Archival inks and the splatter stamp too. 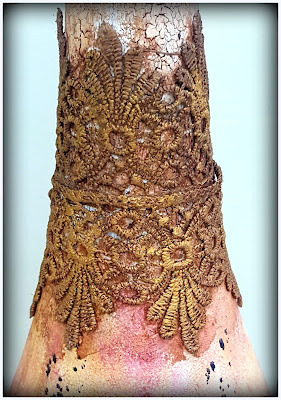 Once I am happy with the bottle coloring and stamping, I decide to stick the lace on. I then create depth around the lace with watery acrylic paint. The bottle is then given a coat of varnish to seal the work. I highlight the lace further with some Inka gold. 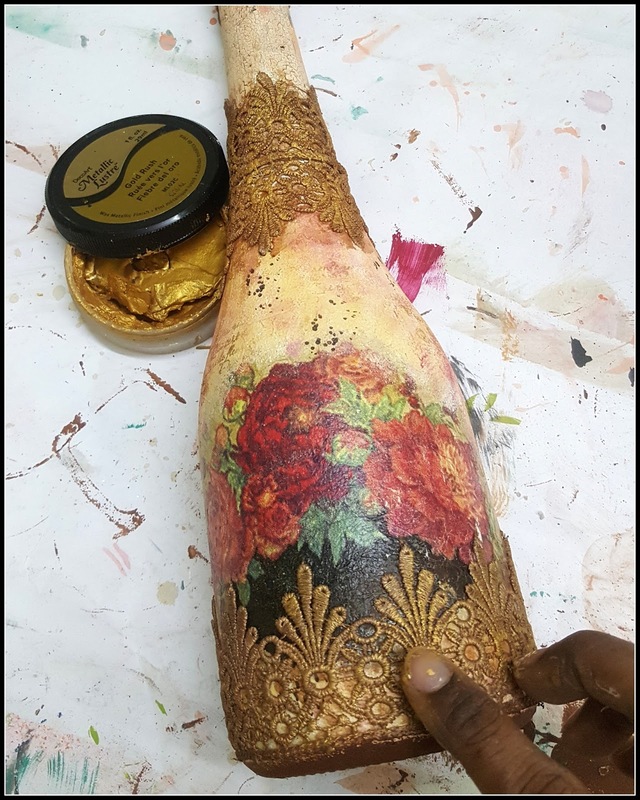 The bottle with the golden cap is now ready to be embellished. I have adhered some hand made flowers on a bed of coconut coir on the bottle. 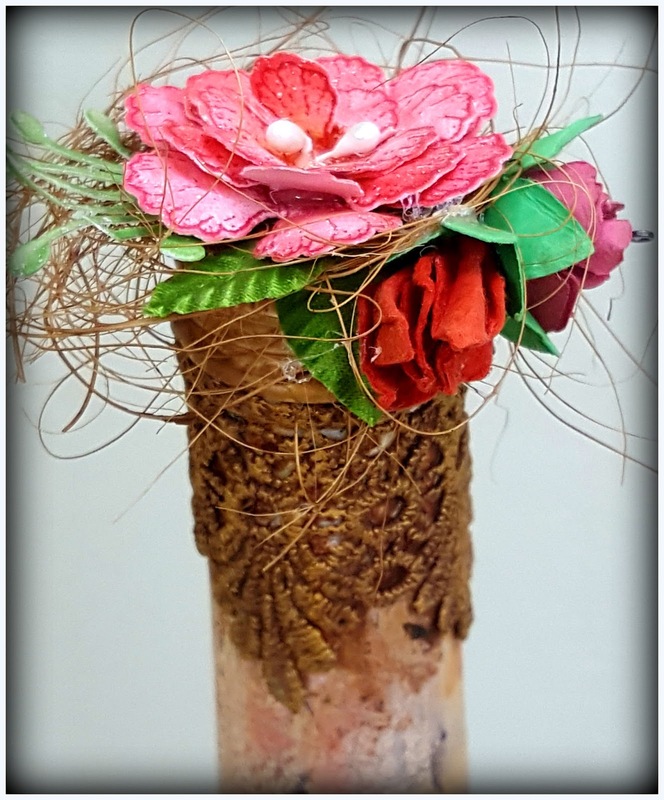 The flowers compliment the tissue design and whole bottle has a vintage weathered look. All falls in to place. I love how this bottle turned out and this will be a proud display on my table. I am so thankful to the entire team of STAMPS and STENCILS for having me over this month. 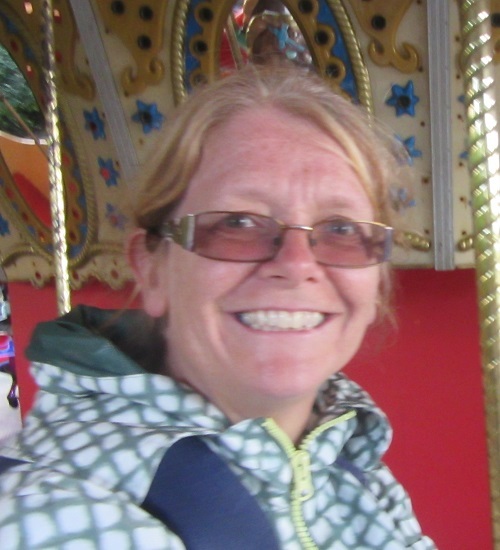 I hope you enjoyed my post and I look forward to hear your comments. 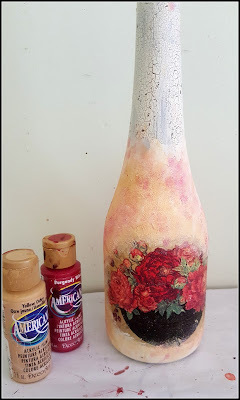 I'm sure you'll all agree that Rupa's altered bottle is beautiful ! Thank you Rupa for sharing such a fabulous project with us. 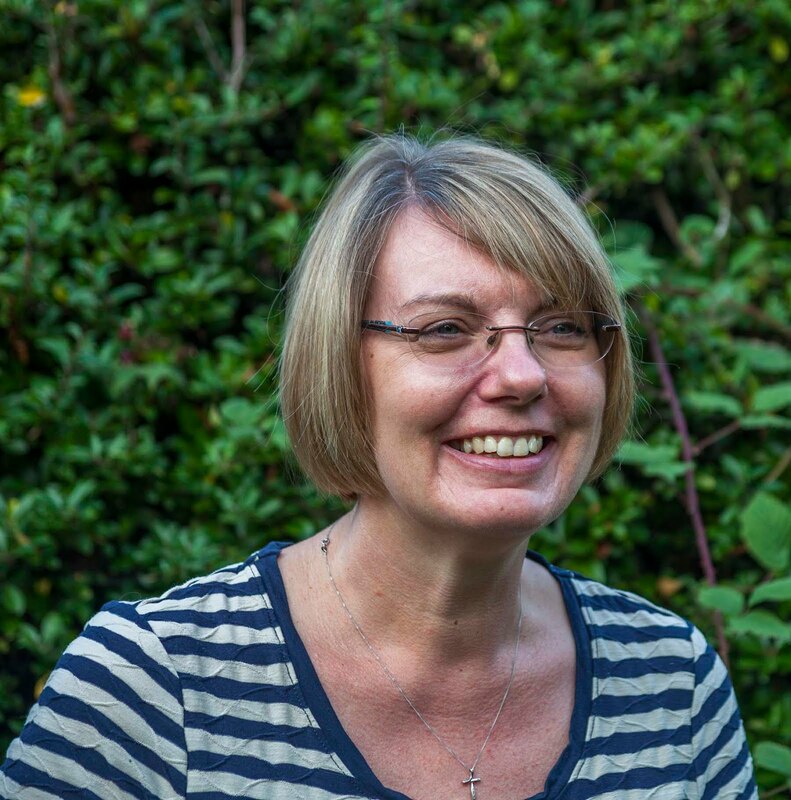 You still have lots of time to join in with the current challenge Fabric and Fibres.